This week, the Rockefeller Foundation’s 100 Resilient Cities (100 RC) program is convening nearly 500 urban resilience leaders from cities around the world, including 80 Chief Resilience Officers, in New York to discuss, share, and develop new resilience solutions for cities. 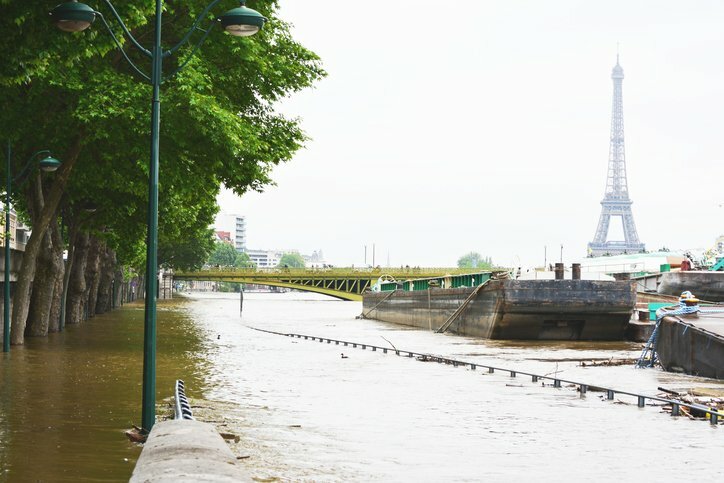 How then do cities invest in 21st century infrastructure when climate risks are rising? We would argue that any city-level investment program should be climate resilient, and that financing should incentivize such measures. Examples of this kind of innovation – with novel elements of both urban design and municipal financing – are proliferating rapidly and are almost as diverse as cities themselves. Sanitation and sewage may sound unsexy, but it is an innovation hotbed. 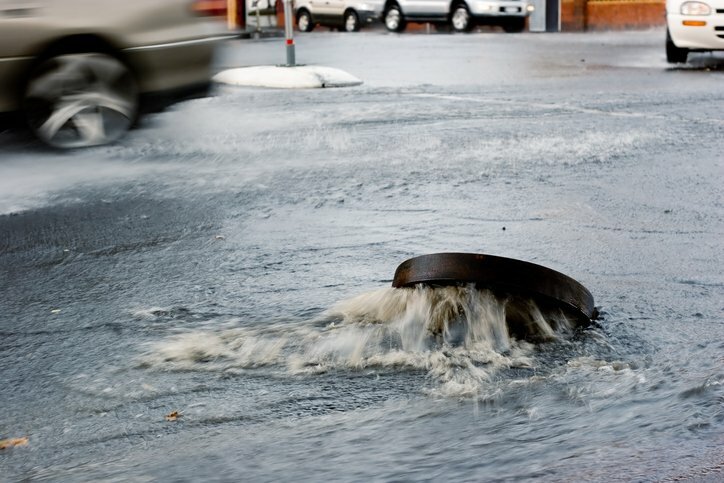 Many cities with combined storm water runoff and “sanitary” (household waste) sewer systems face serious environmental crises during storms when sewage can overwhelm waste treatment facilities and flow directly into rivers and lakes. 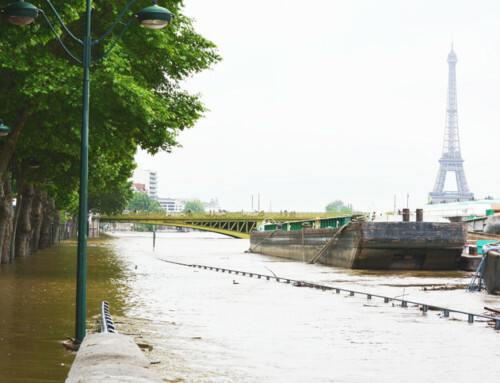 The U.S. EPA has warned many cities that their water quality situations resulting from combined sewer overflows (CSOs) are critical and require immediate investment. The solution? A number of innovative approaches are being deployed. For example, better storm water management technologies are helping cities be more responsive to real-time issues and can prevent costly damage to infrastructure and homes. Also, cities are proactively installing storm water gardens and resilience parks. One such park planned in Hoboken, New Jersey, has a dedicated storm water retention basin incorporated into a public park and parking garage to prevent runoff into the sewage system. Such solutions can be taken to scale or, at a minimum, be integrated into overall infrastructure investment, and incorporated into a municipality’s financing strategies. In a city-wide initiative, the District of Columbia in 2014 issued a $350 million bond, the first green bond by a municipal water utility in the U.S. According to the District’s water authority, “The issuance achieved its green certification based upon the DC Clean Rivers Project’s environmental benefits, which include improving water quality by remediating CSOs, promoting climate resilience through flood mitigation, and improving quality of life through promotion of biodiversity and waterfront restoration.” Municipal green bonds are now taking flight in emerging markets as well: Mexico City issued a $1 billion green bond in 2016, the first for a Latin American city. The bond was oversubscribed, emboldening Mexico City to plan a second green bond issuance. But what about cities that are worried about whether their innovative resilience projects will work? If they can find intrepid investors willing to see the value in resilience, and possibly incentivize performance, amazing things can happen. In 2016, the District of Columbia further innovated in wastewater finance, issuing a $25 million variable-rate green bond to invest in green infrastructure to manage and absorb storm water. The 30-year bond, the nation’s first Environmental Impact Bond (EIB), pays out more to investors Goldman Sachs and the Calvert Foundation if DC exceeds its wastewater reduction targets, and investors forgo interest payments if the results fall short of targets. The performance-based payments structure of the DC EIB helps to address a key bankability challenge: performance measurement and risk assessment. Unlike most traditional “gray” infrastructure, many new green infrastructure projects that are integrated into natural systems like tree cover, soil water retention, and river flow have performance characteristics that are difficult to measure. DC overcame this difficulty by “building a pilot green infrastructure installation that channels all water from its site into a single, gauged outflow pipe,” measuring outflow over 12 months, and then employing sophisticated water flow software.